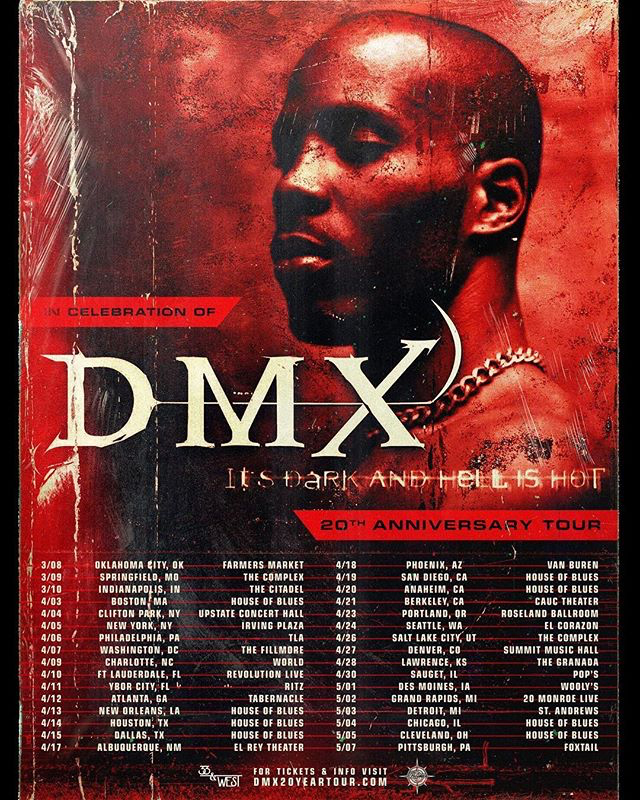 A week after being released from prison, DMX announces a tour for the 20th anniversary of his debut album It’s Dark And Hell Is Not. Surprisingly it all starts off next month on March 8th in Oklahoma City and will continue for two months. The tour will hit 32 cities in total throughout the States. Check out the tour dates below and make sure to cop your tickets this Friday (2/8) at 10 AM local time.